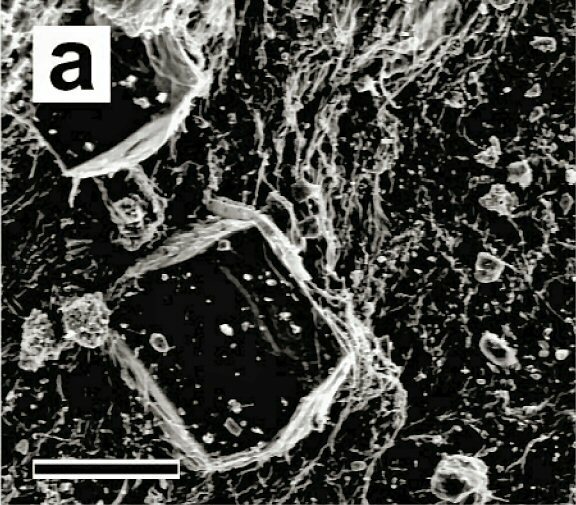 Comments: SEM photo of two large euhedral glushinskite crystals partially embedded in the dried, rotten saguaro matrix. (AmMin, 88:1883). Scale: Scale bar 150 µ-m.